Meatballs serve in a thick shreded chicken based gravy. 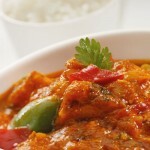 Spicy korma lamb chicken can be used as well in this recipe. Kufta Kebab are Israeli-style grilled lamb/beef skewers. Here is a simple recipe of how to make delicious kebabs at home. These Lamb shish kebabs are easy to make and are very tender. Boneless and marinated mutton cooked in cream, dahi and other mouthwatering spices. A simple and different way to cook liver. The recipe will be good with lambs or chicken livers in which liver cooked in flavored spices. Mild creamy meat stew made with seasoned yogurt and spices. A quick and easy, tangy and spicy recipe that you and your family will enjoy.